Browse a gallery of images taken during the American evacuation from Vietnam in April and May of 1975. 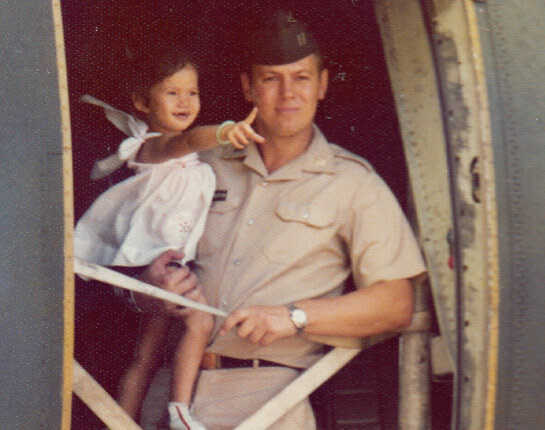 On April 21, 1975 Captain Stuart Herrington, pictured with his daughter Kim, put his family onto a U.S. Air Force C-130 at Tan Son Nhut Air Base, in Saigon, Vietnam. 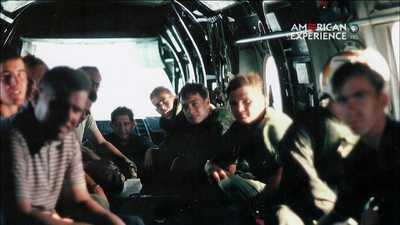 They flew to a safe haven in Thailand while Capt. Herrington stayed behind to assist with the evacuation. 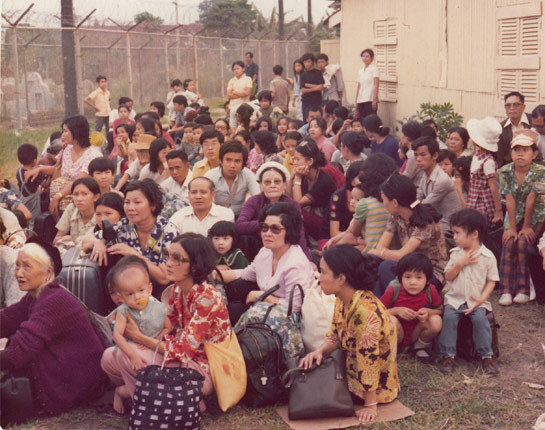 These family members of South Vietnamese soldiers were evacuated to Guam on April 24. The soldiers planned to follow, but on April 29, the North Vietnamese bombed the Air Base, rendering that plan impossible. 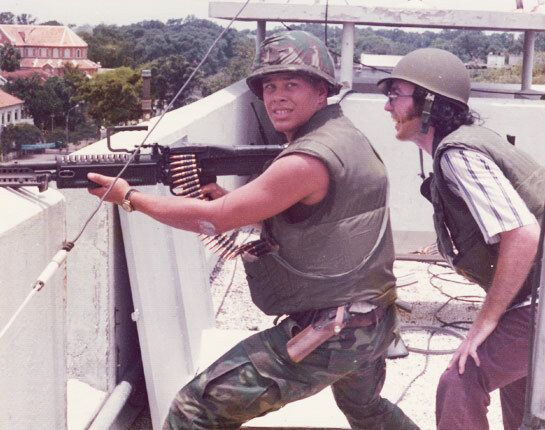 On April 29, 1975, Marine Joseph F. Arata manned his post on the U.S. Embassy roof. That morning, two of his Marine comrades, Lance Corporal Darwin Judge and Corporal Charles McMahon, had been killed by North Vietnamese rocket fire. They were the last Americans to be killed in Vietnam. 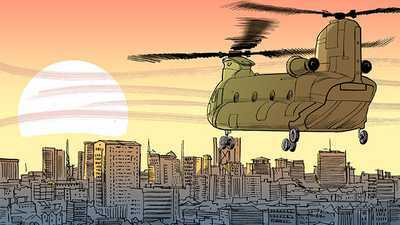 In the Embassy parking lot, a crowd of refugees hurried to board a helicopter bound for the safety of the nearby South China Sea. Approximately 2,500 refugees were evacuated here starting April 29. Some pilots flew more than 18 hours continuously in hopes of picking up all persons at the Tan Son Nhut and U.S. Embassy locations. 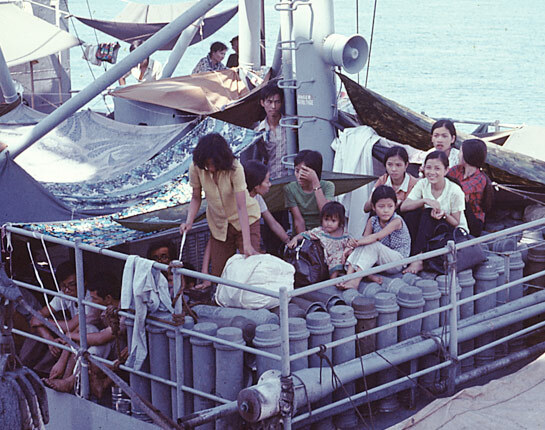 Hundreds of refugees jammed on board the South Vietnamese Navy's flagship, RVNS Tran Nhat Duat, near Con Son Island in May 1975. 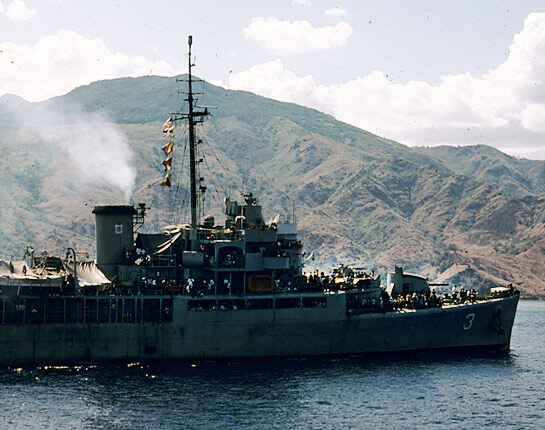 More than 30,000 Vietnamese men, women and children crowded onto the 32 remaining seaworthy vessels of the South Vietnamese Navy. 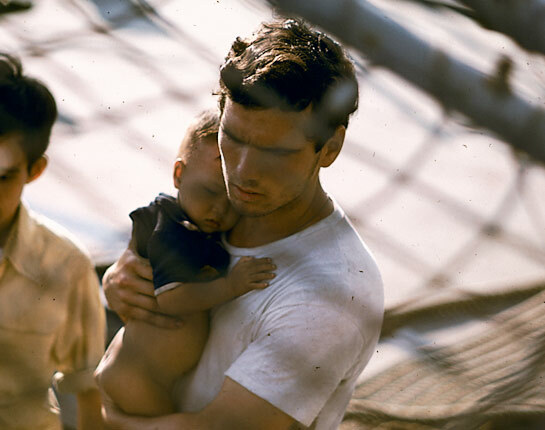 A U.S. sailor holds a Vietnamese baby on board the USS Kirk en route to refugee camps in Guam. The Kirk took aboard hundreds of refugees, including five expectant mothers, taking care of them in a makeshift "maternity ward." One grateful mother gave her daughter "Kirk" as a middle name. Hugh Doyle, the USS Kirk's Chief Engineer, made audiotapes of his experiences during the evacuation: "We laid mats and all kinds of blankets and stuff out on the deck for the babies, and there were all kinds of -- there were infants and children and women, and oh, it was a- it was a scene I'll never forget." 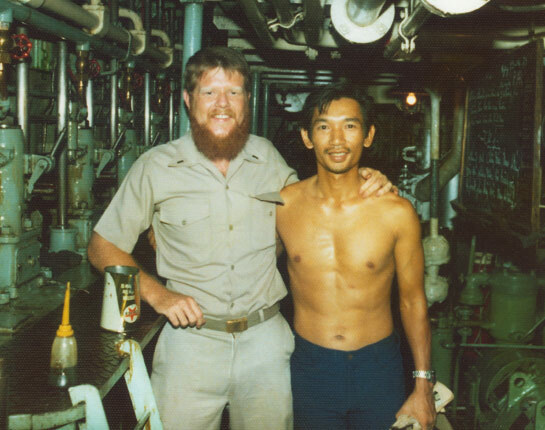 Lt. John Pine, of the USS Kirk, stands with a Vietnamese man in the machine room of the Tan Nam Viet. The Vietnamese coastal freighter escaped Saigon with over 600 refugees, but no qualified engineer. When they ran out of fuel, Lt. Pine boarded the freighter and helped get the main engine running again. After the fall of Saigon, student Binh Pho (far right) spent a year in a re-education camp, eventually leaving Vietnam in 1978. He spent eight months in a refugee camp before reuniting with his family in St. Louis, Missouri in May 1979. 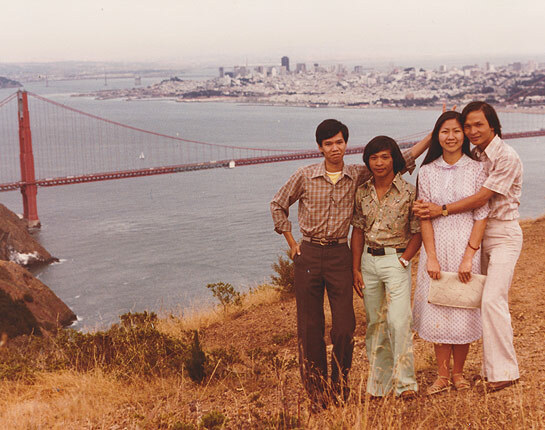 Here, Binh poses with his family in San Francisco in 1980. As North Vietnamese forces swept into Saigon in April of 1975, one family risked everything to escape. 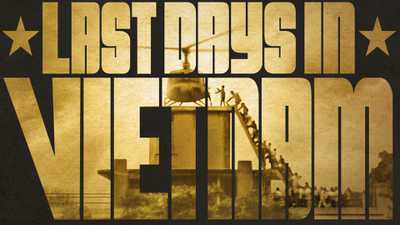 Watch Last Days in Vietnam with Vietnamese subtitles. 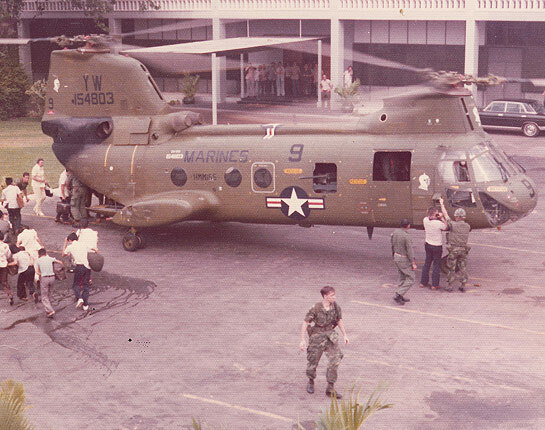 As North Vietnamese tanks rolled into Saigon, eleven U.S. Marines found themselves on the roof of the American Embassy with no U.S. helicopters in sight.